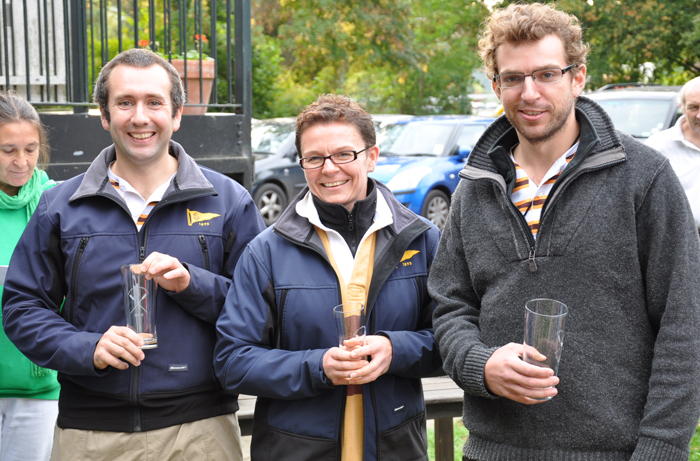 Last short course regatta of the year & it proved to be a humdinger for The Skiff Club. First of all Punting prowess was in abundance with Martin, Crispin & Dave working hard on the curved course that tested their steering technique to the limit. 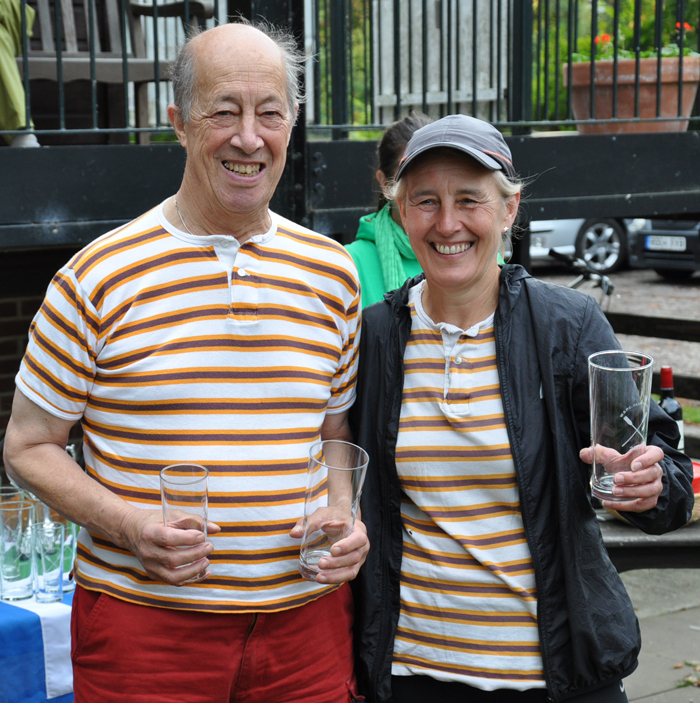 However success only came when Fran Kenden & Dave Wright teamed up in a 2ft Mixed Handicap Double, whose concentration over the 4 lengths of the course, saw them pull away in the last leg from their WSPC opposition to take the win. 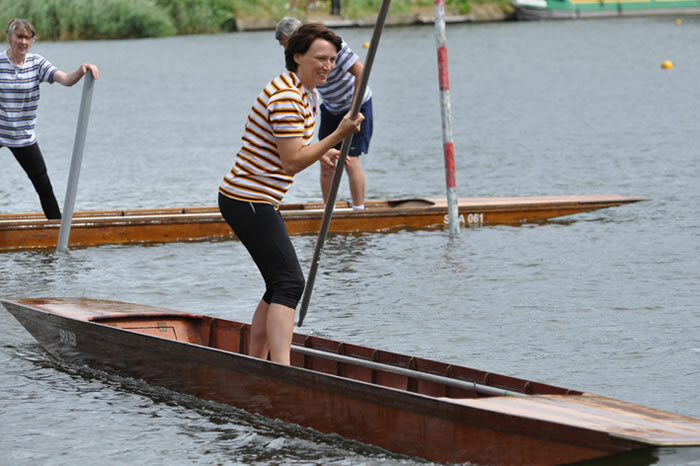 This was not to be Fran’s only pot of the day by a long way, which meant jumping between skiff races & into a punt in a hectic schedule. 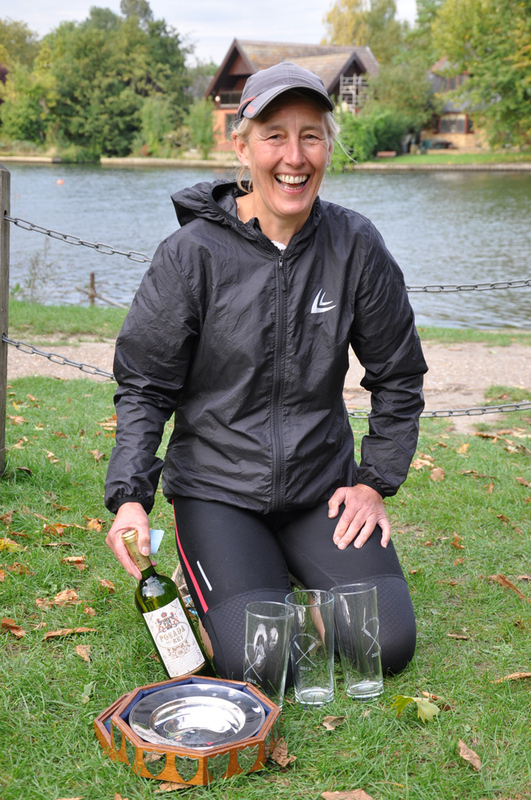 To add to this Fran Kenden & Crispin Allen had to turn straight around after winning a hard fought heat in the Invitation Mixed Lightweight Doubles, to go back to the start & race again in the Final. No wonder Amanda Leach could be heard all the way down the course, from the clubhouse, absolutely screaming at them to shove that extra inch every stroke. You’ve only got to see the pictures in the gallery to see the effort that was being expended to finally cross the line to win by a mere 3ft in 1 in 49 sec. 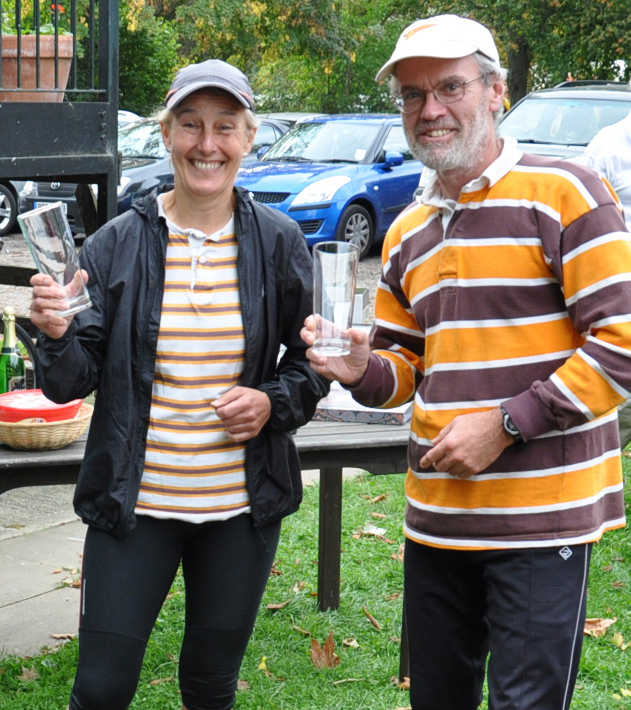 As if two wins was not enough, Fran teamed up with Paul Gregory, coxed by Jenny Jurianz, to battle it out in the Mixed Vets Handicap Doubles. First heat saw them beat their TVSC opposition, whilst Amanda Leach, Roger Haines, coxed Lesley Russell, saw off their TVSC crew in a similar way, setting up an all Skiff Club final. Neither of these crews were going to give the other an easy ride, even if Fran & Paul had an 8 sec start over Amanda & Roger. The race just showed that the handicapping was about right as Fran, Paul & Jenny, held off the onslaught to win by 1/2 length in 1 min 59 sec. Next it was the younger element of the Club that wished not to be left behind in the daily honours. David Sawtell was planning to overtake Viv Gunn at the top of the Club’s winners league & he set about this by winning his first heat against WSPC, to set up another all Skiff Club Final against Bill Taylor in the Gents Junior Singles. Now Bill has been known to go a wandering in the willow tree before now on this tricky S-shaped course but this year held a perfect course. David however also kept a canny course, as he had in the first heat, to pull ahead of Bill & win by a gentlemanly 1 1/2 lengths. Now there other ‘Special‘ clubs to join whilst navigating this tricky course in a Single, especially whilst competing against a crosswind as well as your opposition. Stephen Russell joined the elite band of those that have been disqualified whilst trying to drive your opposition into the bank. 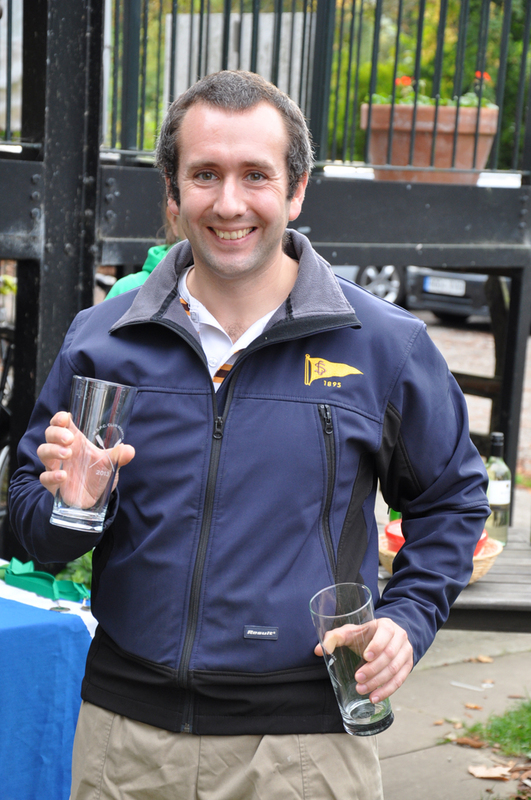 Surely that was worth a pot …… ah well, he had to settle for a cheeky pint instead. Back to the boys & after a long wait, David Sawtell was joined by a welcome return of David Maughan to race at Gents Junior Doubles, coxed once again by Amanda Leach, be scared, be very scared. 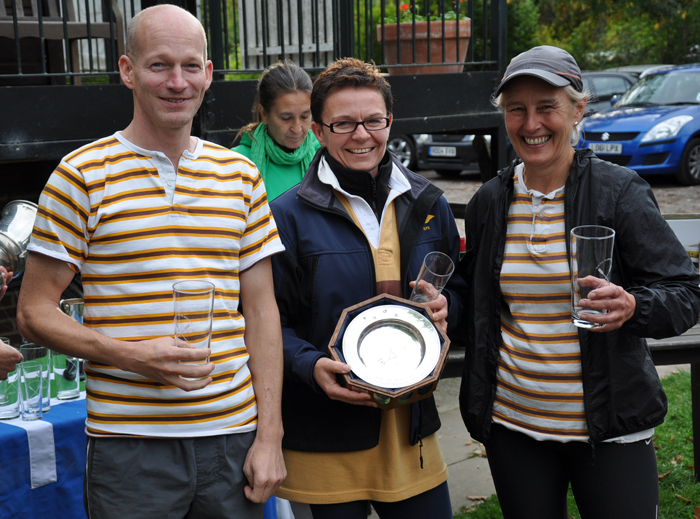 Whilst the the Davids squared were later dubbed as a “pleasure to cox”, they still had to work their cotton socks off to win by a 1/2 length margin, in the joint second fastest time of the day of 1 min 41 sec, the fastest having been 1 min 40 sec. So well done to all of those that competed & let’s see that final smile from 3-pots Fran that says it all of how well the day went. We put it all down to that lucky penny that she picked up during the day that helped her to even win in the raffle. Thanks for the summary Roger. It was a very good day out and I am grateful to you for commenting on my achievement of entering the DQ hall of fame. It was not intentional but it does cause a stir. I look forward to better luck next season.